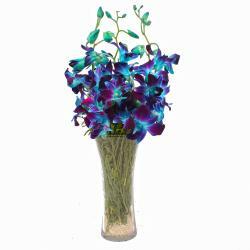 Product Consist : Six Stem of Purple Orchids with green fillers in tissue Wrapping with Ribbon Bow on it. 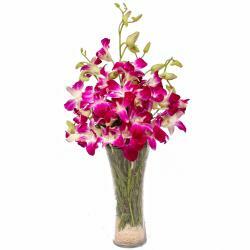 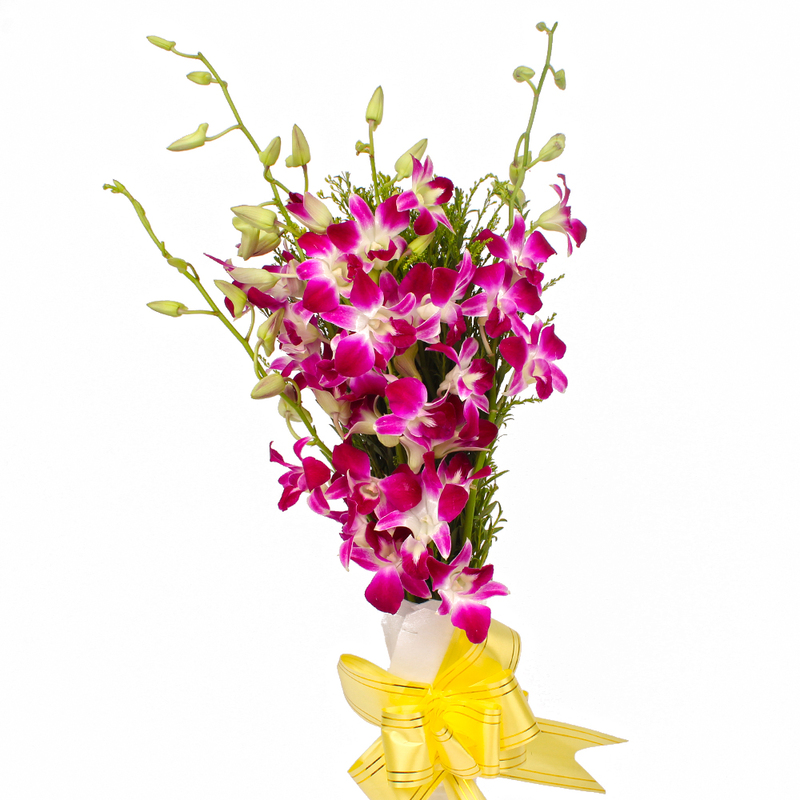 You will fall in love with this bunch of Exotic Orchids instantly. 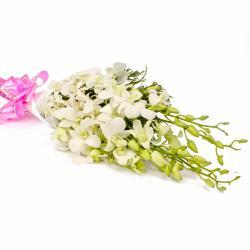 This bunch of half a dozen Purple Orchids has been superbly wrapped in tissue for added quality. 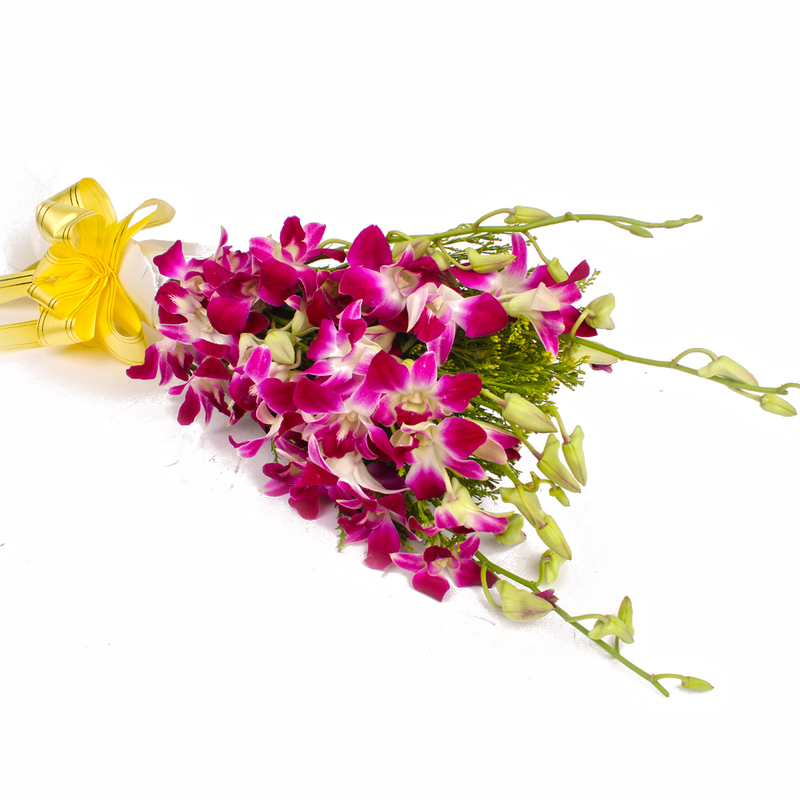 This makes for a wonderful gift item for occasions like Valentines Day, Birthday, Anniversary, Get Well Soon, Lohri, Fathers Day and Anniversaries among others. 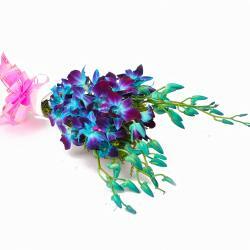 Product contains : 6 Stem of Purple Orchids with green fillers in tissue Wrapping with Ribbon Bow on it.